Presenting Disney/Pixar Cars 3 Ultimate Florida Speedway Track Set. It is an epic 5 feet long trek loaded with exciting race details! 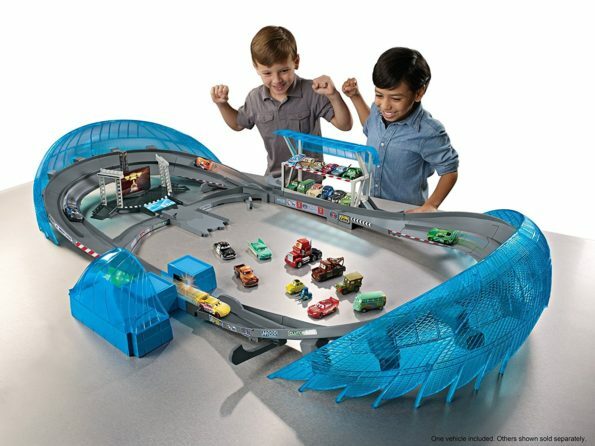 It features a motorized booster, themed play areas, a raised track for increased velocity, and two key competitor cars. Buy this now and Cross the finish line first!